The king of poncy teen angst has been nervously mumbling his way through indie hits for the past 7 years. 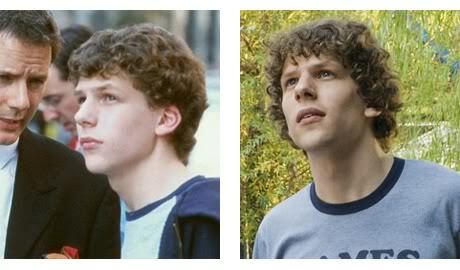 Jesse Eisenberg is twenty five years old. 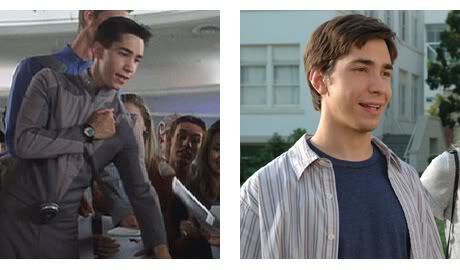 He’s just about manager to branch out a bit lately, mainly thanks to Judd Apatow, but as recently as 2006 Justin Long was still playing teenagers. Justin Long is thirty years old. Denise Richards has pretty much disappeared now. Which is a shame. It might be because she is finally too old to play 17 year olds. Denise Richards is thirty eight years old. I’m not about to start feeling sorry for Tobey Maguire but he will never escape Peter Parker. 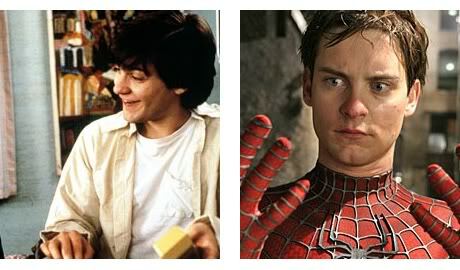 Tobey Maguire is thirty three years old. Michellllllllllle Traacccccctennnnnberrrrrggg. Most people won’t be too upset that she still looks 17. Michelle Trachtenberg is twenty three years old.